MoonProject – Reese Witherspoon is ARRESTED! You are here: Home » Celebrity » Reese Witherspoon is ARRESTED! It can’t be true?! Good girl Reese Witherspoon gets arrested?! Well unfortunately it’s very much true! On a night out on April 19. in Atlanta, Georgia, USA Reese and her husband were arrested after DUI (Driving Under the Influence) of Alcohol. 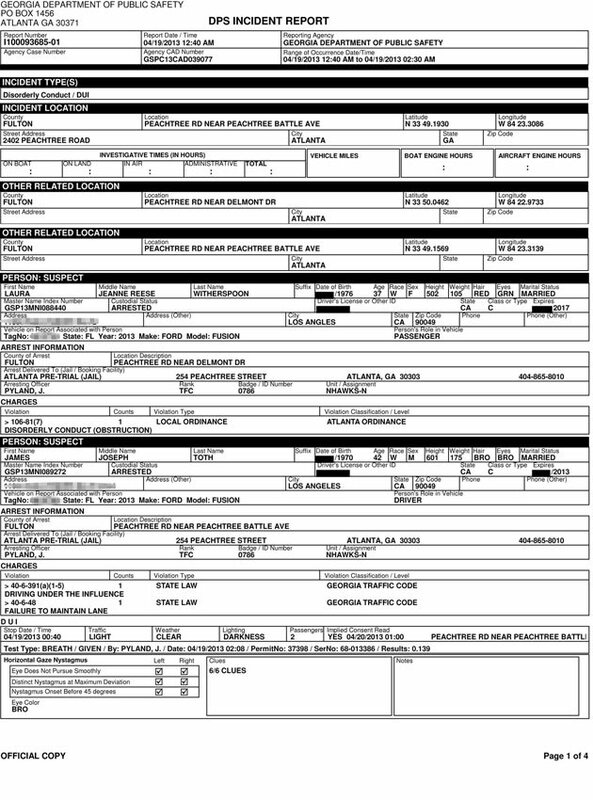 Reese’s’ husband Jim Toth scored a .139 on a breathalyzer test. While Reese was arrested for disorderly conduct. And Reese’s mugshot has just been released! It shows Reese Witherspoon with her recently dyed brunette locks and a slight smirk on her face. Reese and Jim attended the film premiere of Mud shortly after they were released, they both gave no red carpet interviews. What do you think of Reese’s actions? Should we forgive her? Comment below!